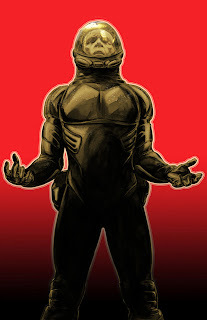 I'm getting pretty excited about Thought Bubble now that's it's only a month away. You can tell it's close becasue all the programming and most of the events have been announced, and the floorplans of who will be where are up. I suspect it will be a bit of a different experience for me this year, as I'll be tabling (of a sorts) with OK Comics, but the guys and I will be taking it in turns to have a wander around the 3(!) halls this year. I'm taking this to mean I should probably have a more targeted and aware approach of who's going to be where and selling what. As much as I love just flitting about, it's doubtful there'll be the time and opportunity to do that to any great extent. So... 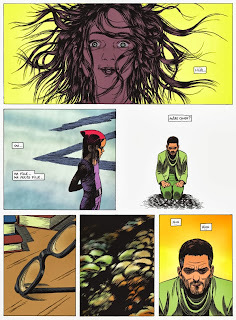 I've pinpointed a few releases that will be making their debut at Tho-Bubs, this is stuff that looks really interesting to me and some of which I've gleaned from the site's 'debuting books' page. It's a handy little resource, and one you should make use of if you're a creator and have a book out especially for the festival, no matter how big or small- it not only let's people know what you're selling -free publicity- but also allows time-starved people like me to a bee-line for your table. Beagle by Alisdair Wood First, up, I really like the look of Alisadir Wood's new offering, Beagle. The red and blue images below are some possible covers he's mocked up for the comic and I've included a few preview panels his site- those alone are good enough to pique my interest. 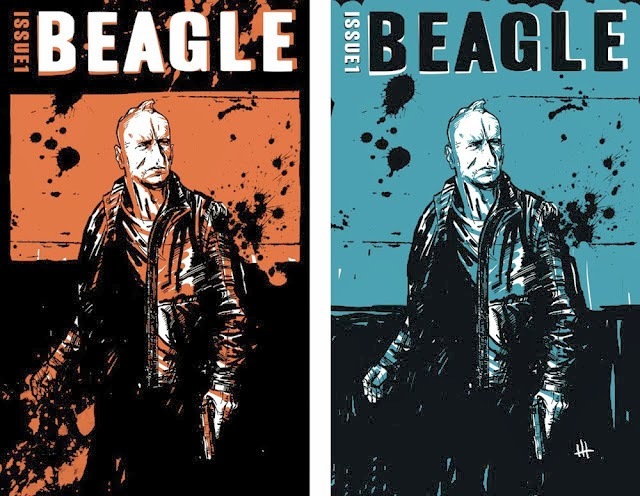 Beagle's a crime comic set in a fictional alt-reality where evolution took a slightly different route. The nose-less detective you see is Mickey Codd, whom the story follows as he discovers an illegal abattoir, his investigation takeing him through the murky world of politicians, gentlemen’s clubs, hit men and pandas. Butterfly Gate by Benjamin Read and Chris Wildgoose This is the second collaboration between Read and Wildgoose after the very successful Porcelain which they were showcasing at the festival last year. 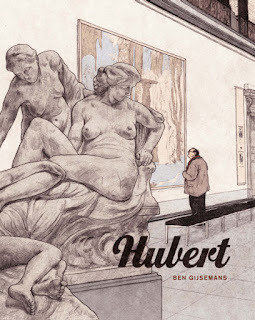 That book and its upcoming sequels got picked up by Delacourt for a French language release, so this one is defintely worth keeping an eye on. 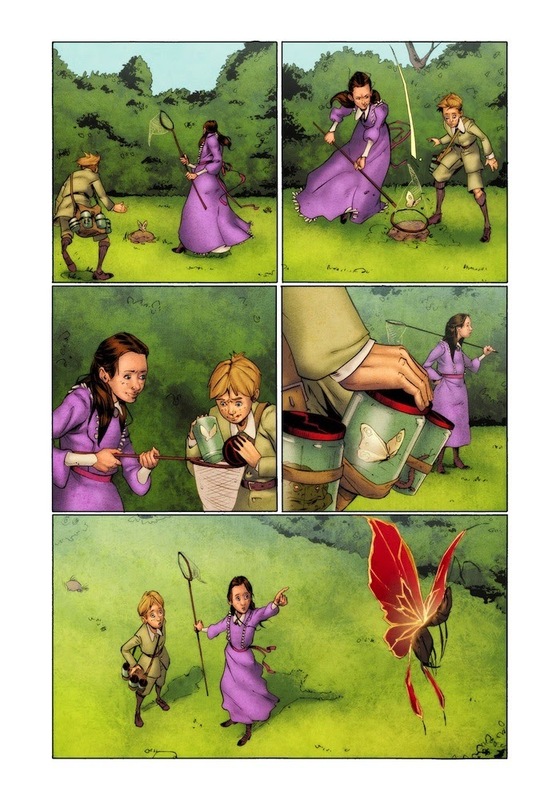 At 48 pages, this is a shorter tale, a silent comic about two siblings who travel through the legendary Butterfly Gate, a portal that finds them in a world which isn't as harmonious as its name may suggest, with the land on the other side having just seen a revolution against the Gods. If you want to see more, you can view or download a preview here. Storm Dogs vol 1 by Doug Braithwaite and David Hine: I read the first issue of this when it came last November and the left it- I prefer to read in chunks, so wait for the collected version, but even that first chapter was brilliant- just really solid genre hybrid of sci-fi and hard-boiled mystery with some fantastic art by Braithwaite and Ulises Arreola. 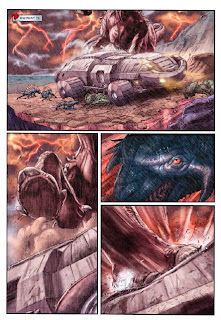 The plot revolves around a crime team who are sent out to a frontier planet of Amaranth to investigate a series of mysterious deaths, and it has exemplary world building and charceterisation, with some great dinosaurs/beasts. At 168 pages it makes a nice hefty trade paperback, too. Tall Tales and Outrageous Adventures: Wicked Kings and Crazy Queens! 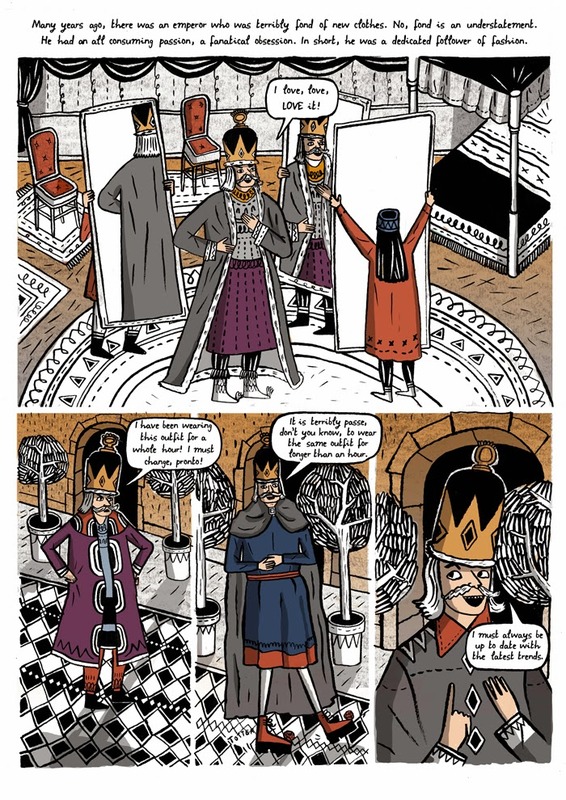 by Isabel Greenberg Greenberg and, no doubt, Jonathan Cape, will be selling copies of her brilliant new book, The Encyclopedia of Early Earth, but she's also debuting this comic published by Great Beast. It will be the first in a series which takes a variety of traditional fairytales and gives them a zany spin. Each issue will contain 2 re-tellings and it's suitable for all-ages,which is superb (the Phoenix folk have tables, of course, but there's not a huge deal of all-ages stuff that can be bought, I think) and I can see it doing very well. 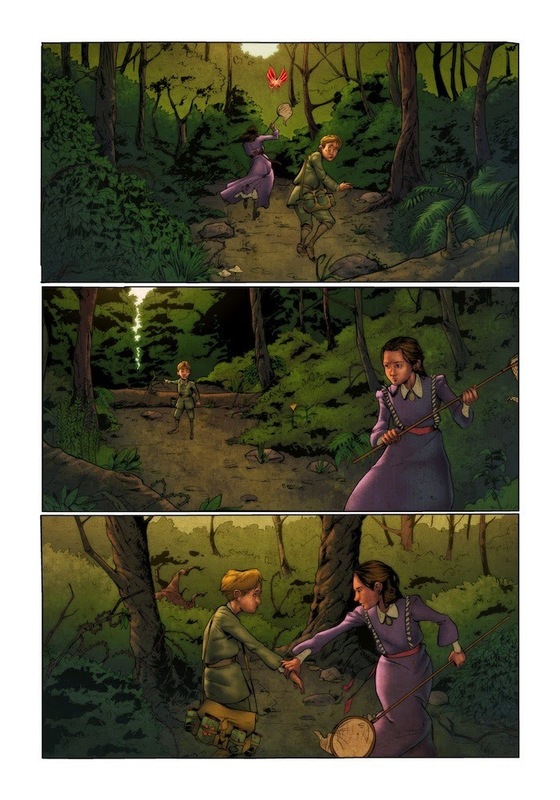 I love Greenberg's folksy art style and the colouring in the un-finalised page below looks spot on. Aama by Frederik Peeters: Ostensibly releasing on November the 5th, but I'm guessing Thought Bubble will be where many people pick this up, especially with Frederick Peeters in attendance- the chance to get a signature and perhaps a sketch is rather inviting. This is the first English language volume (thank God!) 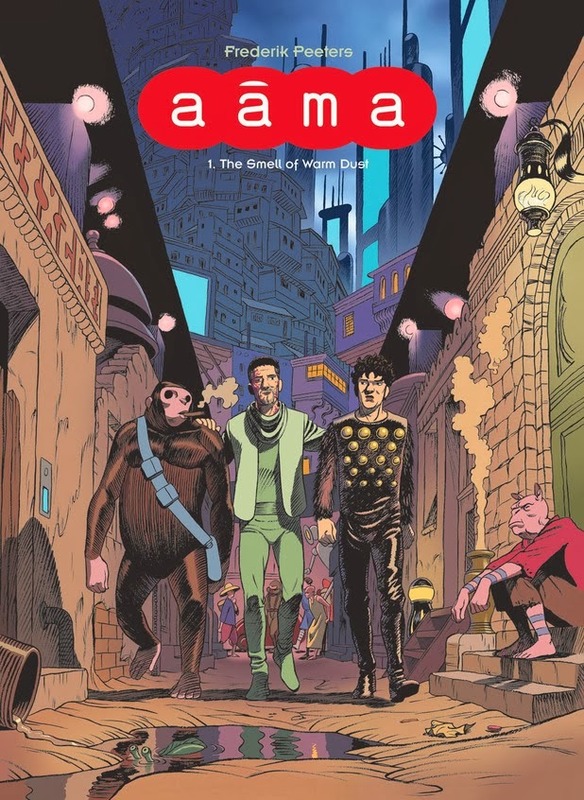 of Swiss graphic novelist Peeters' Angouleme award-winning series, a future-set sci-fi, but knowing Peeters, coming from a totally different angle. I featured this a while back- you can read more about it here. We're located opposite publishers Self Made Hero, so if you see a weird person creeping out Peeters, wave. 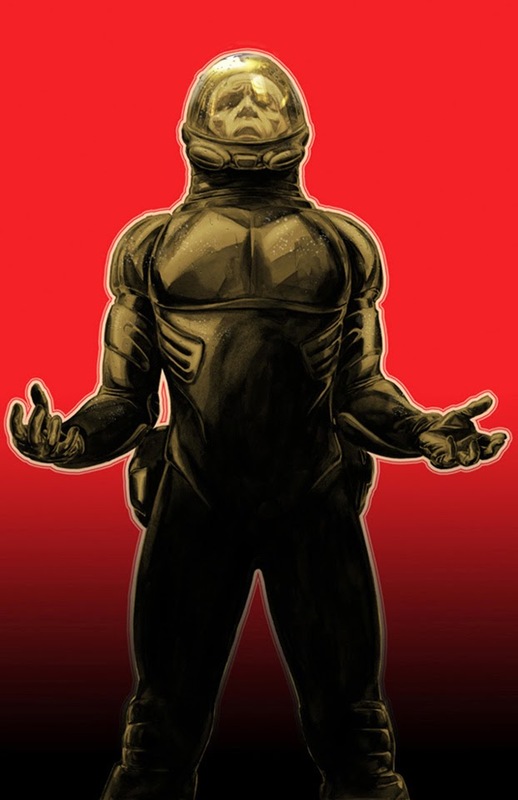 You can see a full list of all books debuting at Thought Bubble here.